Cam Newton has been the focal point of the NCAA, the SEC, and the Heisman committee for most of the season since people within Mississippi State said that Cam's father, Cecil Newton, used former Mississippi State player Kenny Rogers to approach the team in a pay for play scheme, with witnesses saying the cost for Cam to go there was as much as $180,000. Today the NCAA came out and ruled Cam Newton is eligible to play in the SEC Championship Game on Saturday at 4 against the South Carolina Gamecocks. That's just fine. Until you look closer into the reasoning behind the ruling. The NCAA has come out and ruled that they didn't have enough evidence to support that Cam knew anything of what Cecil did, meaning they've decided that Cecil Newton broke NCAA rules. They've also said that since they have no proof that Cam Newton was included, he's eligible to play against the Gamecocks. Buried in this lead is the fact that just yesterday Cam Newton had been ruled ineligible by the NCAA. What the NCAA double talk is saying is, "While we had no reason to rule him ineligible, we did anyway." A mind bending statement if there ever was one. First, they don't want another Heisman front runner to go the way of Reggie Bush in tarnishing the name of their greatest and biggest award handed out annually. As you may remember, Reggie Bush was found to have taken large sums of money for playing for USC in his Heisman winning year and as such gave up his trophy before the NCAA could strip them of it. Second, they don't want any negative press on the game period. Some people prefer the NCAA game over the NFL game for the purity of the sport. "They play for the love of the game, not for a pay check!" Dirty little secret is out, folks. They've been paid to play for a LONG time. The NCAA has it's hands over it's ears refusing to listen to what is being whispered. Third, and seemingly most likely, has to do with the TCU Horned Frogs. They are ranked #3 in the nation at the moment and have all season seemed unbeatable. Outsiders who don't pay attention say they've played a cream puff schedule and aren't that good but truth be told they could take on Auburn and win, possibly even Oregon and win. TCU is 8th in over all offense in the nation, 1st in overall team defense including 3rd in rushing defense and 1st in passing. They've also played the 4th toughest schedule in all of the NCAA. This isn't some fly-by-night team. They are legit and it possibly scares the NCAA. The NCAA doesn't want a non-BCS conference team in it's national championship game. It'll expose the flaw in it's system. Should TCU get in there and actually win, which is completely possible, they are forced to admit their system is wrong and attempt to correct it any way possible. Admittedly, all of this is hearsay. None of this can truly be proven. 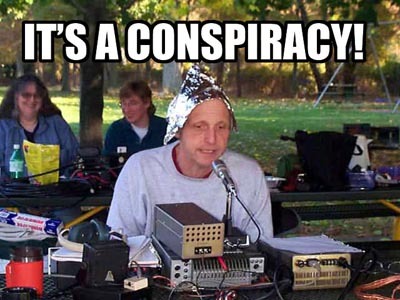 It's all skeptical and conspiracy theory in a would be presentation that's easily being handed to us by the NCAA and their extremely shady dealings in the Cam Newton situation. A system that's notoriously slow at making decisions quickly makes one on November 30th, then just as fast on December 1st flips the script and changes their mind behind very questionable wording in their release to the press. "Based on the information available to the reinstatement staff at this time, we do not have sufficient evidence that Cam Newton or anyone from Auburn was aware of this activity, which led to his reinstatement," said Kevin Lennon, NCAA vice president for academic and membership affairs. "From a student-athlete reinstatement perspective, Auburn University met its obligation . . . Under this threshold, the student-athlete has not participated while ineligible." His father did it, don't know if Newton did. Everything is okay folks! Nothing to see here! Never mind that Cecil Newton did what he did and the NCAA admits it, which was enough for the NCAA to rule Reggie Bush ineligible. 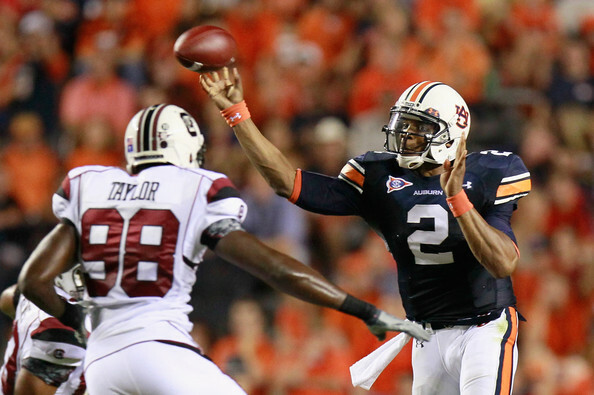 Ignoring the probability that Mr. Newton didn't ask Auburn for money. Disregarding the whispers of Cam saying to a friend that the "money was just too good at Auburn". Merry Christmas from Case and Point!